Little Blue Engine dreams of someday leaving the train yard to pull the big cars on the main line track. But can she convince Big Silver that she is worthy of being a main line engine? ArtsPower’s dynamic, song-filled adventure portrays Watty Piper’s timeless tale about hard work, determination, and loyalty. Credit: Based on the book, “The Little Engine That Could.” Written by Watty Piper with illustrations by Lois Lenski. Copyright © 1905. Published by Platt and Munk Company, New York, NY. Presented under a special agreement with Penguin Books. All rights reserved. 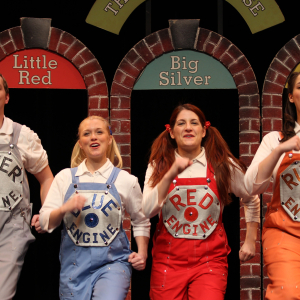 “Little Engine That Could Earns Her Whistle” was an excellent show! 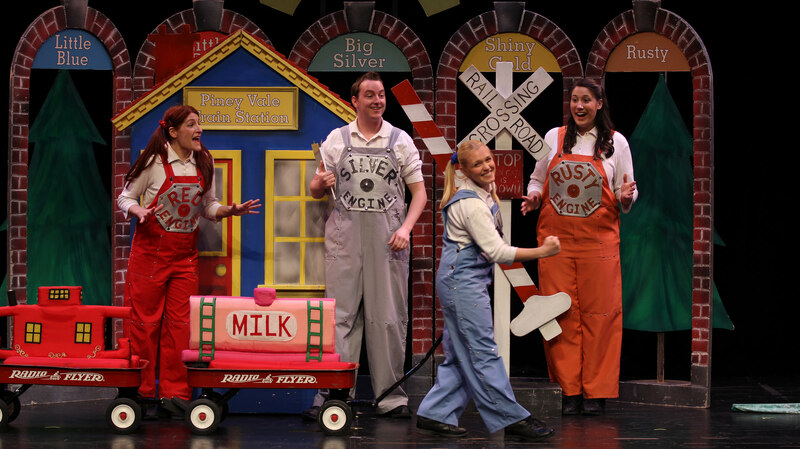 ArtsPower is the only company whose cast sings harmony! Plus, this group was so sweet. Thank you! 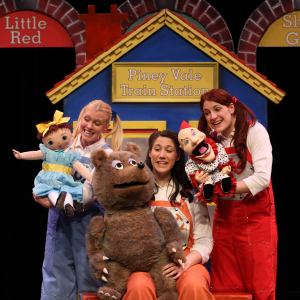 The audience loved “Little Engine That Could Earns Her Whistle!” Thank you for a really great team of actors, plus stage manager. Very polite, understanding and professional. As always, your company is a pleasure to work with. 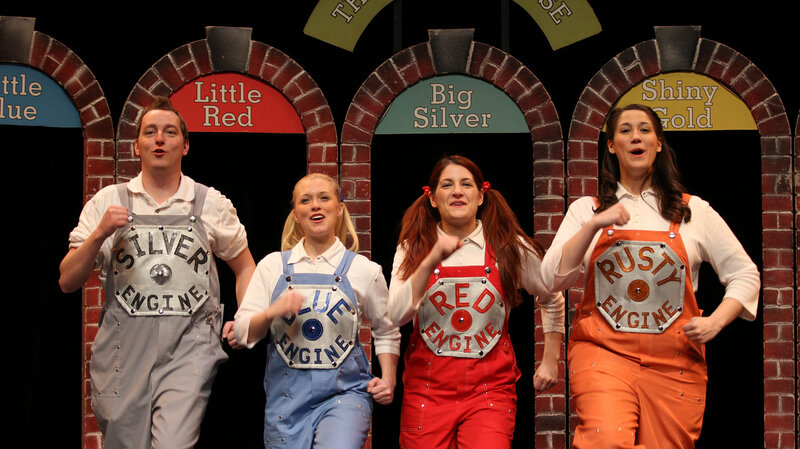 The performances of “Little Engine That Could Earns Her Whistle” were great! 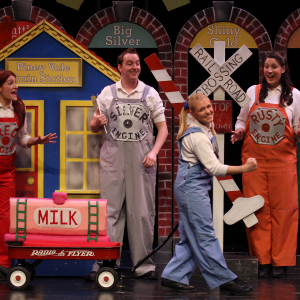 Yesterday, we had sold-out houses and the audiences loved the show. Your stage manager and cast were really wonderful. 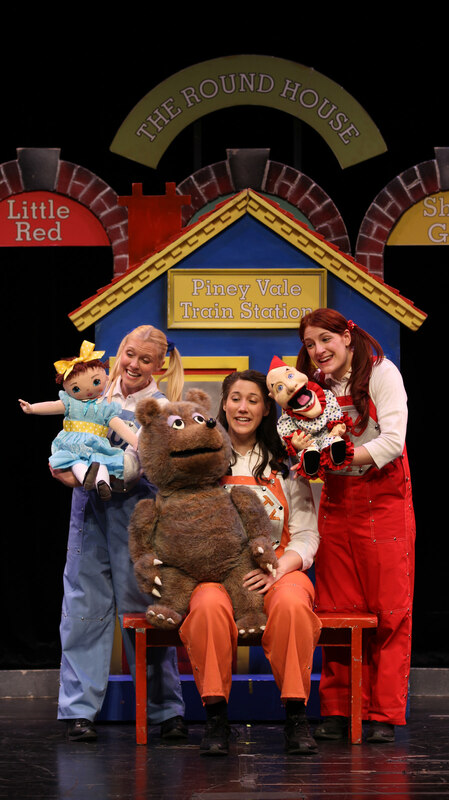 Both the public and the school performances of The “Little Engine That Could Earns Her Whistle” were a big hit with our audiences! Please extend our thanks to the company!